When tracing your family's history it is important to remember the importance of preserving not only the stories of the past but also the stories of the living. Encourage your family members to record their memories for posterity with one of these wonderful, journal-type memory books full of thought-provoking questions and space for recording the sure-to-be-cherished answers. Record your life with a journal that turns into an autobiography for your family. Whether you want to put your story down in writing for your kids, grandkids, nieces, nephews, or yourself, The Book of Myself: A Do It Yourself autobiography is a top choice. This guided journal will help you document your life’s story with 201 questions about the small and large moments that define who you are and what you hope to be. It's been noted that some of the more basic biography questions are missing—like date of birth, siblings, etc. Since you may expect that your close family or friends will already know these details, it means that other more creative questions are the focus of the book. The biggest drawback to this journal is the fact that it’s not particularly large at only about 9" tall and some people say the font is small and in a color that is hard to read. If you or the recipient have trouble seeing fine print, you may struggle with the format. ﻿Overall, people appreciate the insightful thought-provoking questions and say it’s worth overlooking the formatting issues. Record your story or encourage a family member to do so with this family journal that becomes an interesting autobiography. If you’re looking for a memory journal to share with that special someone, you’ll love A Year with You: A Keepsake Journal for Two to Share. This journal for couples is our top pick thanks to its combination of open-ended questions, fill-in-the-blank spots, and thoughtful journaling prompts on each day. Learn more about each other and record your views on life and love with statements like, “If I had to describe you to someone who has never met you, I would say…” You can start the journal at any point in the year since the days are just labeled as Day 1, Day 2, etc. People like this journal since it is easy to enjoy whether you’ve been with your significant other for a short time or many years. Some other family journals are geared towards couples that have many years of history together, but this one will give couples in all stages plenty to think about, laugh about, and bond over. 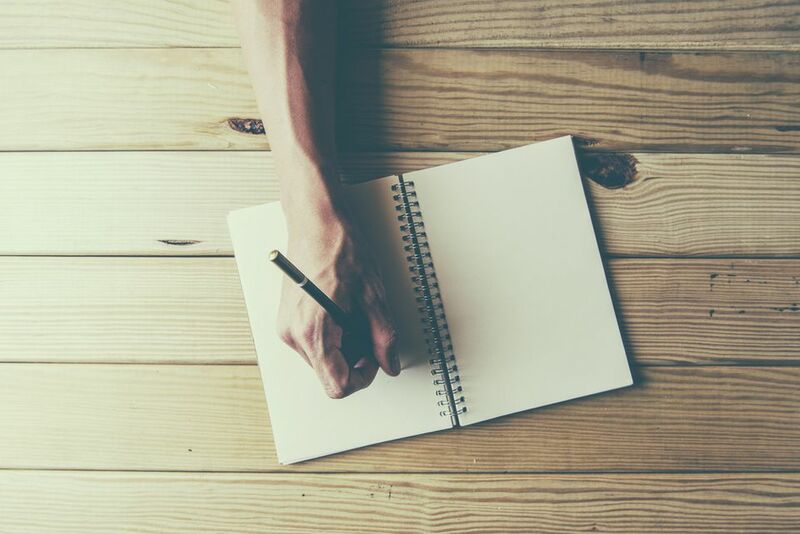 If journaling sounds intimidating with so much blank space to fill or volumes of journals to clear shelf space for, consider the One Line a Day Memory Book. This easy introduction to journaling will gently prompt you to jot a quick note or a few sentences for each calendar date, for a total of 5 years. Instead of staring at a sea of blank pages, you’ll see a tidy little space in which to share your highlights, disappointments, poignant thoughts, or advice springing from the day. Many people that have used this memory book to start a journaling habit report that it was easy to get started but even better once they started seeing past years’ entries. It’s a great way to track your individual or family activities over the past few years and see where you’ve been challenged and where you’ve grown the most. As for the journal itself, people like the simple turquoise cover with gold lettering. It’s neither boring nor flashy—just right for sitting on a shelf, table, or nightstand ready for daily journaling. If your family is about to grow in size with the addition of a new baby, you will want to capture the many moments of this exciting journey with the right journal. The Belly Book is a family journal focused on the 9 months leading up to the arrival of your little one. One of the more popular pregnancy journals, The Belly Book has earned top-ratings from thousands of parents-to-be. It moves through pregnancy week by week and provides a place to record weekly baby bump pictures, food cravings, and notes from doctor appointments. Many couples take turns filling out the questions or write small enough to include comments from both mom and dad. While some people said they initially almost passed on this book based on its cover, many said they were pleasantly surprised and very happy with the mix of questions and milestones contained on the inside pages. The most noticeable gripe is that fitting pictures into the allotted space can be a little challenging at times. Even still, expectant parents love this family journal for the way it captures the details and exciting moments spent waiting for baby to arrive. Help your child get on the ‘write’ track with a family journal geared towards children, like this Q&A a Day for Kids journal. With questions that touch on subjects light and heavy, you’ll learn more about your child’s interests, goals, fears, and happy or sad moments. Parents that have used this family journal for bonding with their kids say that they’re often surprised at the way a simple question can reveal deeper challenges their child is facing. Most people found this journal for kids to be appropriate for ages 4 and up. Younger children may struggle to understand some of the questions. There seems to be no real age limit to the book since even adults have mentioned how they appreciate the intriguing questions included in this Q&A a Day journal. Whether your child uses this journal on their own to get started journaling or you use it as family journal to bond over, you’ll enjoy tracking the answers to the questions included in this journal over several years. If you’re looking for a family journal that captures the sweet moments of motherhood, check out Stories for My Child: A Mother’s Memory Journal. This guided journal for moms is more than just the milestone moments and goes beyond the basics of a baby book. It captures the special details of the mother-child relationship and the in-between moments that make every day a joy. For instance, one page includes space to record something that you enjoyed teaching your child, along with something that your child has taught you. This family journal is one you’ll enjoy looking through for years, especially with its beautiful watercolor designs. It also is a great choice even if your child is older, since you can start this journal at any time to document memories from the distant past or recent days. Don’t let the Golden Years slip by without recording your story for generations to come in the Memories for My Grandchild journal. Grandparents will enjoy using this family journal to record their life story, viewpoints, and advice that will be treasured by their grandchildren for years to come. This spiral-bound journal for grandparents explores areas like birth and background, the academic years, work and community, religion and spirituality, and advice on life and living. People appreciate that this journal deals with period-specific insights (like how much a movie cost decades ago) but also personal questions and views—without being overly probing. Compared to some other grandparent journals, there isn’t as much room to respond to each question (multiple questions can be found on a page), but most people love the overall flow and format of the book. Whether you are a grandparent yourself or are looking for a great way to help your parents or grandparents capture their thoughts for future generations, Memories for My Grandchild comes highly recommended. Do you or your family love to travel—and document your adventure along the way? A travel journal like I Was Here: A Travel Journal for the Curious Minded will help you experience your next adventure in a unique way while creating memories that last long after you return home. This travel journal is more than just blank pages or basic prompts for you to respond to. It includes activities and challenges that help you explore your surroundings and engage with others—like asking a stranger to draw a map to their favorite place for documenting the typography of signs in the city. People said that using this travel journal helped them to really explore their surroundings and even led to fun discoveries—like a secret beach a local told them about. Families found that it was lots of fun for kids too and a great way to teach them the joys of travel and local culture. Use this family journal on your next great adventure to bond closer and collect more memories that you’ll cherish for years to come.